GoPro has announced an exciting slew of new hardware today as part of a demonstration during a dedicated hardware event. Today’s event has witnessed GoPro Founder Nick Woodman introduce the new Hero5 Black and Hero5 Session cameras, as well as the highly anticipated Karma drone that had been delayed earlier in the year. The release of this new quadcopter and the new cameras have once again thrust the company back into limelight. So without further ado, let’s take a good look at what these new additions to the GoPro family mean for the fans and adventure enthusiasts looking to capture their finest moments on the ‘go’. 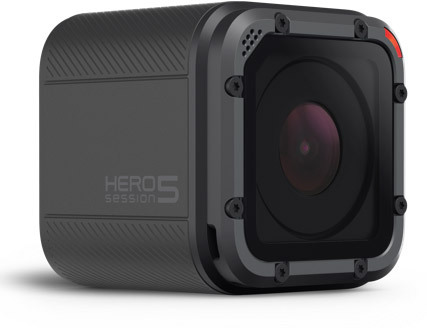 Both the GoPro Hero5 Black and the Hero5 Session are capable of shooting 4K footage at a maximum of 30-frames-per-second. Both pieces of kit offer water resistance without any additional cases or housing necessary, with a new IP rating allowing both new cameras to be submerged in water up to 33 feet in depth. And to carry on the commonalities, both of the new cameras pack “professional grade” image stabilization, as well as the ability to instantly back up stills and videos to GoPro’s new cloud-based subscription service GoPro Plus, along with voice commands ability. And that’s where the similarities end. 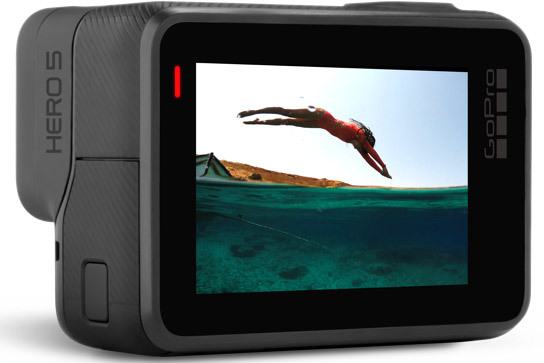 The more advanced Hero5 Black (flagship of course), which is a direct replacement for the Hero4 camera released back in 2014, captures 12-megapixel photographs, has a built-in 2-inch LCD screen and has the ability to capture RAW photos and Wide Dynamic Range video. Those choosing to spend a little less on the Hero5 Session will get a camera that shoots 10-megapixel photographs, and that comes without a built-in display. There’s also no GPS, RAW or WDR modes on this cheaper alternative. For the uninitiated, the Hero5 Session is the update to last year’s Hero4 Session, the company’s smallest action camera. The Hero5 Black option retails for $399, while the Hero5 Session retails for $299. Both the cameras will be available starting October 2nd. In addition to announcing two new camera replacements for existing models, GoPro has also finally introduced the amazing Karma Drone which has previously been delayed from launching earlier in the year. Moving into the drone space makes perfect sense for GoPro given the type of product that it offers and the type of individual that it ultimately appeals to. This first of its kind GoPro quadcopter is sleek, extremely compact, and can even be folded away to fit in any backpack for easy transportation. Accompanying the drone itself is a gaming-like controller that comes equipped with a built-in touchscreen to allow easy controlling of the flying hardware. The flying product also comes with an excellent 3-axis stabilizer that slides out from the drone itself to attach to an included Karma Grip accessory that facilitates the capture of smooth images on the ground. Those wanting to purchase the Karma Drone alone and add their own camera can expect to have to cough up $799. 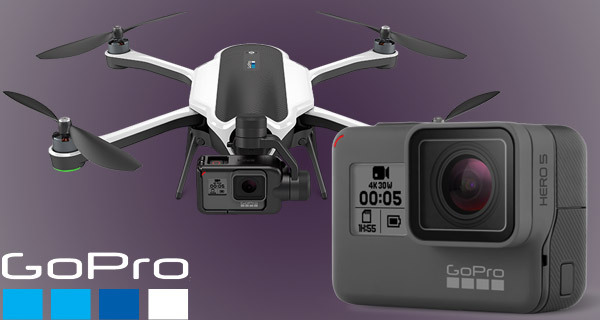 Purchase it with the newly announced Hero5 Black and the bundle price will be $1,099, or $999 for the Karma Drone and Hero5 Session camera. The GoPro Karma is expected to hit the store shelves starting October 23rd. Neat but I am fine with GoPro Hero4 Black.